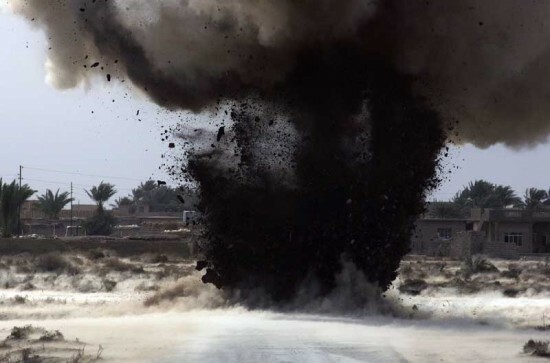 At least eleven militants were killed in a premature explosion triggered by an Improvised Explosive Device (IED) in southeastern Ghazni province of Afghanistan. The 203rd Thunder Corps of the Afghan Military in the Southeast said the incident has taken place inside a mosque in the restive Andar district. The source further added that an IED went off among the militants in Ismail Kabuli mosque in Andar district, leaving at least 11 militants dead. In the meantime, the Thunder Corps says at least 24 Improvised Explosive Devices were discovered and defused during separate operations in Logar and Ghazni provinces. The anti-government armed militant groups including Taliban militants have not commented regarding the report so far. The anti-government armed militant groups frequently use explosives materials for the roadside bombings and car bombings to target the government staff and security personnel.